My most recent collaborator Dr Richard Claydon wrote another great post the other day on how art (in this case TV shows) reflects the fears of society. In his post, which I encourage you to read, not only because he is a good writer, but this post might make more sense if you do. I recently heard a story of a former colleague’s exchange with a senior partner from a global consultancy. My colleague asked, in earnest, what underlying theories the company used to inform their practice. The partner looked perplexed by the question, so after some clarification the partner said; oh, we use international best practice. What on earth does that mean? You copy what others are doing without knowing why, and because many are doing it there must be value in it? Well, there is one born every minute they say, and you can make a lot of money from selling snake oil or success recipes. You clearly will not make a lot of cash offering services that involve telling people inconvenient truths. Nonetheless, there is nothing like a monumental challenge to get you motivated. Richard and I connected as we are both on a quest to do our bit to shift management practice from pseudo-science, anecdotal evidence or “best practice” to a foundation of sound theory. There is plenty of good stuff out there, both past and present. It is, however, not easy to package it up into a three or five step process that guarantees success. The reality is that transforming an organisation will be messy, it is unpredictable, we will not have all the answers up front, and it will take a lot of work. It is hard to get people to queue up for that type of show, even more so when they also have to play a part in the performance. Richard and I have both been labelled as highly cynical and pessimistic but nothing is further from the truth, we’re what Richard calls, frustrated enthusiasts. We care deeply about the state of organisations and how the people in them feel about work and subsequently themselves. Richard’s research clearly shows that organisations stand to learn a lot by embracing the cynics and ironists. They are the ones who care enough not to become part of the walking dead. They are the survivors who fight back. The employee engagement percentage is reportedly at 13% globally. The low engagement levels, however, are self-created, and the cure is not about fixing the people, it’s about working on the environment in which they work. Something we’ve known for a very long time but struggle to put into practice. Instead, we are creating the walking dead in our organisations by the constant dumbing down of work due to rules, policies and other constraints in attempts to standardise and control behaviour. The picture above represents a healthy organisation. Think of an ECG monitor and you get the metaphor. There is an abundance of life; people have the freedom to work out how to go about their work within clear boundaries. The goals or objectives can at times be hard to define or might change along the way, which is why it is not a standard shape. In a complex environment, this is situation normal. 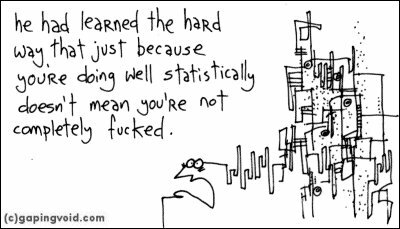 Unfortunately most organisations look more like the image below. Through policies, rules, standardised work practices, ERPs, etc., the organisation has flat lined, creating an army of the walking dead. The end state is a defined shape, to represent an assumption that we always can identify the end and work towards it. So how do you fight off the walking dead without losing your head during the process and without compromising your morals? How do you re-energise an organisation and bring its people back from the land of the walking dead? Well, that’s the million-dollar question, and this is the point where we should outline a five-step process for success. Please note that any attempt to successfully fight zombies or the walk ing dead by attacking individual zombies is doomed to fail. The people on your side that fall in the fight will join the other side; you are fighting a losing battle. Finding the source of the problem and dealing with that is the aim. The realisation of what the source is for many organisations is illustrated well in Walt Kelly’s Pogo cartoon. Many leaders will only see one way out, which is to copy what others do or what worked in the past (which rarely makes you a leader in any field). Others find themselves where two roads diverge; do what everyone else does, or something different. Few have the courage to take the road less travelled, but for them, it will make all the difference. Travelling on this path takes not only courage but also stamina and openness to unlearn and learn. We don’t have a five-step success plan for venturing down the road less travelled. What we do have though are some thoughts and considerations on how you could go about this. Identify your cynics and ironists. They will be essential to locate, not only because they sit on a world of knowledge about the many ways in which your organisation trips itself. But they also care enough about the organisation and its people to work with you on changing it. For some, it will be an opportunity to put into action things they have thought about for a long time. This is also an opportunity to map the informal networks of the organisation to get a feel for who is connected to whom and where the key influencers are. Understand the current mythologies of your organisation. You need to know what the current beliefs are in the organisation, concerning the behaviours that are seen as positive or negative on the values continua. I’ve written briefly about the values continua previously; you can find it here. Mythologies are not about individual views; it is about the shared mythologies, the shared beliefs that create social cohesion amongst groups in the organisation. Understanding the present reality for people in your organisation is essential as it is from here, and only from here transformation can begin. To make sure your head stays connected to your neck and to maintain your morals, understand that it is in the social dimension where it is won or lost. The technical elements are usually the easiest aspects and sometimes they are irrelevant on the whole. Good social process is something that will carry you a very long way. People can deal with many things if they feel that they way they are being treated falls on the left hand side of the values continua. If you are leading transformation and don’t live in the future, you are likely to fall short or your intent. Behave as if your organisation had already transformed, live the behaviour you feel represent the new. That requires self-awareness, self-reflection and a certain level of maturity. Of course, you will fail at times but it is important to role model behaviour as people pay more attention to how you behave than what you say, just like your kids. Engage the whole organisation in an ongoing conversation about what the future can be and how to make this happen. All the answers for how to create a positive future for your organisations are already contained within it. The challenge is how you allow the creativity and ingenuity of your people to get out and get their ideas into action. Successful change is co-created, not implemented by edict from the top. Take the time to develop a connection with people to understand their needs; the ideas and strategies to meet these needs will flow almost as they had a life of their own once the needs are clear. There is a range of helpful techniques for facilitating large groups sessions, for example, World Café or Open Space Technology where good social process is at the centre of the design. Acknowledge that some challenges will be in the complex domain and other will be in the complicated domain. In the context of organisations, these are not words to be used interchangeably, even though in everyday life this might be the case. Think carefully about how you might approach a complex challenge differently to a complicated challenge. An excellent example of the power of social process is David Marquet’s book Turn The Ship Around. David takes control of a Nuclear Submarine and the story is a classic one – take a bunch of people labelled poor performers and turn them around to become the top team. The interesting thing to reflect on is that David achieved this using the same technology as all other similar class submarines, he did not get some special funding to do this so the only area he worked on, and relentlessly so, was on social process. Essentially the story is one about how good social process can be the difference that makes a difference. I’ve deliberately stayed away from referencing much theory here but rest assured that there are strong theoretical underpinnings to these thoughts and considerations. When people tell me that they don’t have time for theory or their senior executives don’t have time, they just want something practical, I shake my head and sigh. All our actions are informed by theory, i.e. we hold some view about why this action will or will not be useful in this situation. The difference is if the theory that you are applying is useful or not. We would like to help you make better decisions by grounding your thinking and decisions in theories that truly are useful. I invite you to get in touch if you are willing to explore how we can enrich the life of the people in your organisation. Doing the things no one else seems to see need to be done! As my wife and I in earnest started discussing having kids, I decided to stop consulting. This decision was mainly due to the heavy travel commitments that often come with that line of work and to a smaller extent to have a more stable income when providing for my family became a priority. My own father was away on work for most of my early life and I did not want the same for any of my own children. I felt I needed to be home for dinner every night and be a big part of their lives. I thoroughly enjoyed consulting and had the privilege to work with some fantastic clients so it was for a specific purpose I decided to switch to contracting. After more than three years of work on various reform/transformation/change programs I am now convinced that I need to stop, if nothing else for my own sanity. 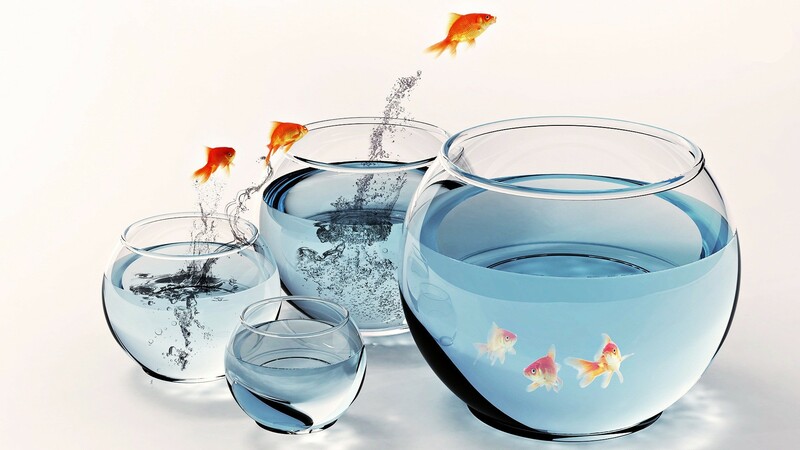 The reality is that in most organisations, change or transformation programs are just illusions. We’re reshuffling the deckchairs using another management fad after another, having convinced ourselves that this time it’s different. Few initiatives are based on sound theories of how organisations really work. I’m sure this realisation is not profound or insightful in any way and it makes no claim of that. For me, however it’s something I’ve known but ignored for a steady pay-check and the huge benefit of being able to have dinner with my family every night. Not too long after I started my own company my old colleague Tim Banner and I made a deliberate decision to stop doing work for clients that weren’t really interested in doing anything other than a review. 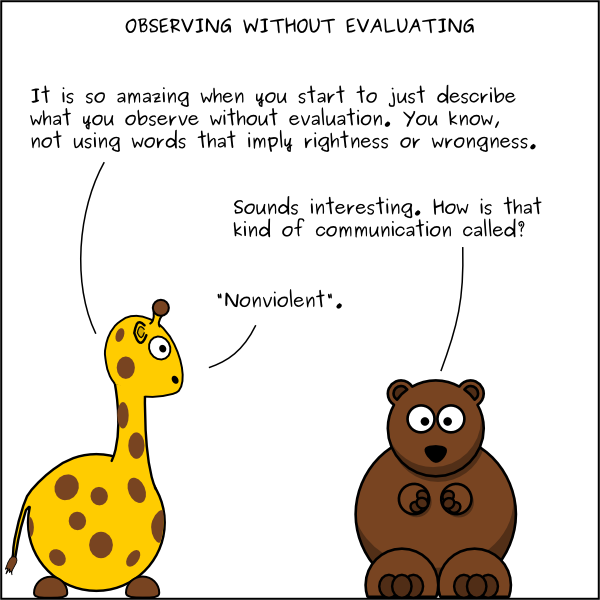 A review was always followed by a report of recommendations that they would file away and never look at again. We wanted to focus our energy on working with clients that really wanted to make a difference for staff and customers. I feel that I have drifted away from that and I’m looking for ways to get back on course. Per Frykman gave me some good advice when he helped me to better understand and work with my reputation – create a stop doing list. 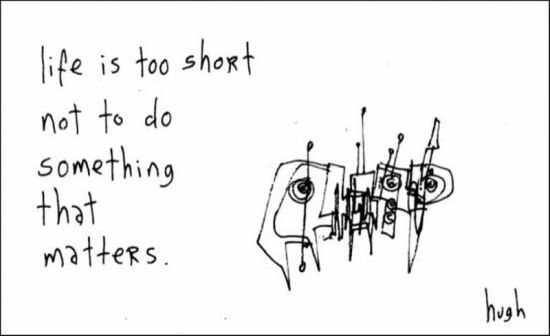 High on that list is stop working with leaders without the courage to do the things no one else seems to see need to be done. Where do I find the courageous leaders who want to profoundly transform their organisations for the better, for their staff and for their customers? 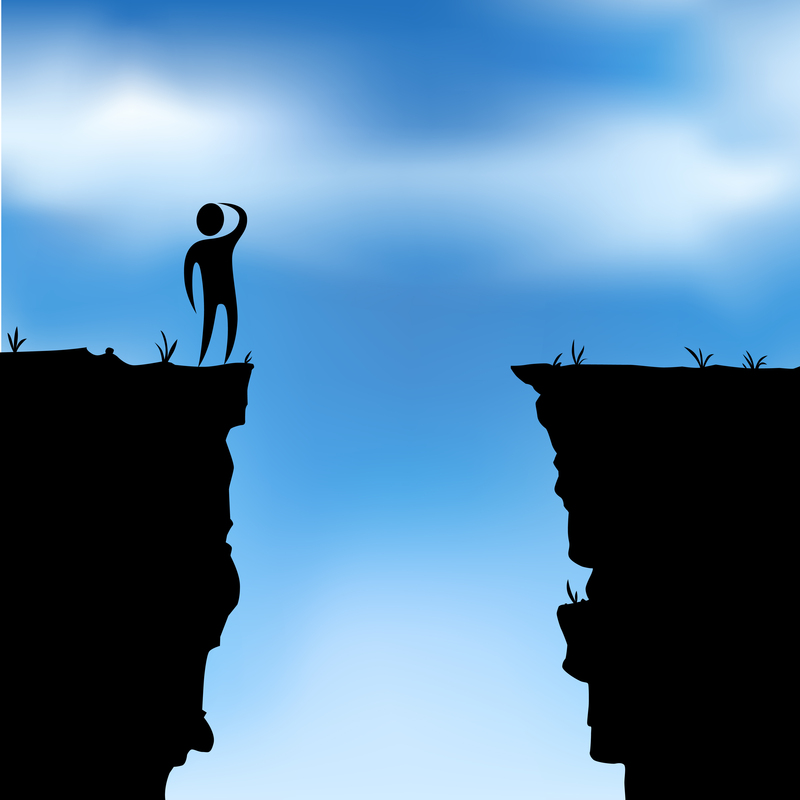 Who has the courage to wholeheartedly engage with their whole organisation to explore better ways of working without knowing in advance where it will take the organisation? Who has the courage to let go of the illusion of control and trust people to find a path together? Is anyone out there brave enough to embrace something as radical yet so simple as the antimatter principle? But then what would I do if that person came knocking on my door to ask for help? I’d need the support of others, especially ones far smarter than myself. I know you are out there, some probably hiding in plain sight banging your heads against the same walls as I, wondering why no one else seems to see or want to see how flawed most of our approaches to change are. If you are stuck working in a change or transformation program and would like to do work differently I’d love to hear from you to explore if we can do things together. It would of course also require me to find the courage to get back to freelance consulting and ride that rollercoaster of fear and joy again. Are you a leader with an above average level of courage and are you open to do something different to make your organisation a place of joy – I’d love to hear from you. It does not have to lead to anything other than perhaps a coffee and a chat. If I can help in more ways than just pointing you to great resources to further your thinking or connect you with some of the very smart people I know in various domains, that would be fantastic. It is however not all that important that I get something out of this. I can suffer through the silliness and madness I come across on a daily basis for a bit longer, living as a character this is not the real me, adding value where I can. What is important though is that more people start to rethink and challenge the dominant mental models of organisations, of human beings, and of human relationships. I don’t want my son to grow up, working in a world where we still view organisations as machines, people as resources, profit and shareholder value is paramount, and growth is essential. I want him to grow up being able to contribute to society in ways that embrace a more holistic and human approach. There are movement out there making waves: #responsiveorg, BetaCodex Network, Reinventing Oranzations etc hopefully they will create enough momentum to hit a tipping point where command and control is the exception – not the norm. Maybe by then we’ve even got rid of this weird notion that we all have to be more productive to earn a spot in society. It seems appropriate on that note to also finish with a quote by Bucky Fuller. Is it time to bin the idea of “Change Management”? Moving from the fallacy of planned, predictable change to embracing feedback driven change and the reality of unpredictability and no control. The term “Change Management” itself has significant limitations and assumptions attached to it. Manage change sounds much like time management. No one can teach you to manage time any more than you can manage change. With time management, you can only control the actions you take and prioritise them to make the best use of the time available, and we all the get the same amount each day. As with time, you cannot manage change per se, you can only control your actions in relation to change. Your actions will undoubtedly solicit a response and your actions will be interpreted in ways that you cannot with certainty predict in advance. Many change management tools and frameworks seem to come from a view that all change is a top-down imposed thing that has to be “sold” to employees or it needs “buy-in” from key stakeholders. Furthering the notion that the parties concerned have little input into the change itself and need convincing or manipulation to get into agreement. Also, there are models that reinforce the notion that this imposed change will trigger an intense feeling of loss akin to that we go through when we’ve lost a loved one. Given the levels of engagement in most workplaces, I doubt that people care that much about changes in the workplace. We’ve been fed this stuff so often and so repeatedly it has become the truth in the domain of change management. The conventional view of Change Management is based on the assumption that you are already in a steady state and introducing change brings about a level of uncertainty, something that challenges the status quo. In most organisations this is hardly the reality. Initiatives hit business units from every direction all the time. If not internally generated restructures or process improvements then it is initiatives from HR, Safety, or Finance that are imposing changes as supporting functions often do, forgetting that they are there to in fact “support” the primary activities of the business in achieving their purpose. If we’re not dealing with internal change, then we’re dealing with changes in the marketplace or from regulatory bodies. So the steady state that many change management models talk about is more of a myth than anything else. Many organisations, in line with their command and control mantra, dictate what tools must be used for Change Management, and in what order. Change Management is treated in the same fashion as traditional Project Management and run through various stage gates of approval. This further creates the illusion that we are in control and that projects and change in complex systems can be managed as if you were building a machine. We can design it, build the parts, and put it all together. If we get one part wrong, we can always build another and replace it with a new shiny one. This view represents a plan-based approach to change; a view that is not very helpful when dealing with human systems, which not conform to a Newtonian-Cartesian view of the world. 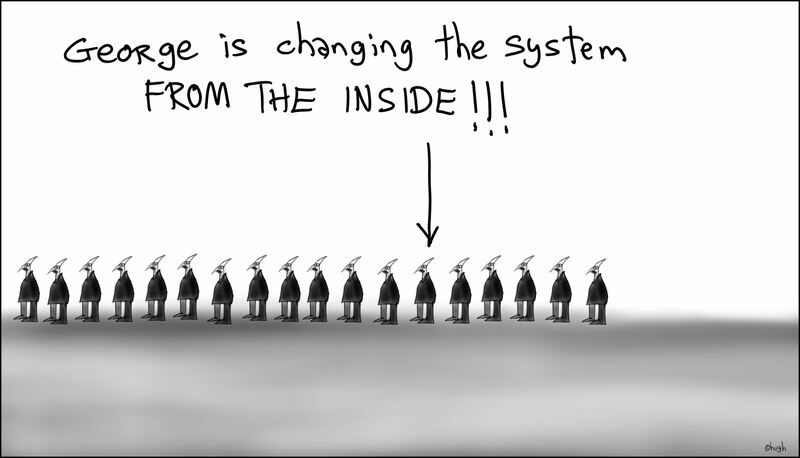 Change in human systems belongs in the complex domain. Niels Pflaeging suggested in a recent article that change in these systems is like pouring milk into coffee, once it’s done it changes the coffee forever, you cannot take it back and the pattern in unpredictable. This highlights the need for feedback driven change as a more appropriate approach to work with the complexity, rather than plan-driven change that assumes predictable cause and effect. I believe that we can significantly lift the performance of our organisations changing our approach to Change Management. In fact, I believe that real success means that the term is self, disappears into the history books of management fads as “change” becomes so embedded in our way of working that we don’t need reforms or transformation programs. In organisations that always change how they do things, they test the value of the change against their purpose as an organisation. In those organisations there is no such thing as “change management”. People are so connected to the purpose that initiatives that are seen to further the organisations purpose emerge and get support without elaborate plans, milestones or blueprints. Which is not to say that selected models from the traditional Change Management library cannot be used, but if they are, they are pulled in as needed and not by top-down decree. My recent post referenced the book “Reinventing Organizations”, which has plenty of examples of organisations that operate this way. We have a tremendous opportunity to shift our organisations for the better if we only are willing to challenge and critically reassess how we see the world of organisations. To achieve this, we need to shift our focus away from individuals and lift our gaze towards the systems of organisation, the systems that drive the behaviours we experience today. Once there, look further inwards to identify the underlying thinking and beliefs about people and how that has influenced the design of these systems. This is change with an undefined end point as you continuously poke the broader system to see how it responds, you make sense of the ripples you create and take further action, either dampening something or boosting something, and again sense the response. When we start taking steps to rethink and redesign our organisation let’s engage people in co-creating their environments to set up the conditions for positive change from the start. It is an excellent way to get ownership and people tend to be more ok with things when they have been included in the decision-making process. The process outlined in Sociocracy, for example, is a great start. Granted, we must take a Theory Y view of people and their capabilities so I guess that is going out on a limb for some. I dare you to take that step and hold the tension – you will be surprised to see what people are capable of when given the chance if you choose to see the world through a different lens. There is a real leadership challenge here for the daring one. Holding the tension when shifting your organisation or business unit from the claws of the Theory X mindset to one designed from a Theory Y perspective will certainly test your leadership capability. Without clarity of expectations, both in terms of roles and in terms of tasks you cannot with good conscience hold a person to account for their performance. In addition, without a culture where blame is non-existent and a genuine desire of leaders to create great working relationships, I really question how effective our organisations will be. I predict the gap between actual performance and potential performance will continue to be very wide and just a distant dream for many. Developing your skills to have productive conversations is very important, not only in the workplace but for all relationships. In my last post I discussed the importance of social process skills. So we know it is important but how do we build our capability to do it well? Marshall Rosenberg’s Nonviolent CommunicationTM (NVC) is a fantastic method for communicating without judging and meeting everyone’s needs. Now I am very much a Jackal trying to shift to a Giraffe so I am not the right person to write about how to apply this so here are two links to better material, Martha Lasley’s paper Difficult Conversations: Authentic Communication Leads to Greater Productivity and a video featuring Marshall Rosenberg introducing NVC – the analogy of Jackal and Giraffe will make sense if you watch the video, which I sincerely hope you invest some time in. In my next post I will discuss “understanding the work” the middle element of the framework around which all other elements are centred. “What about sub-optimisation?” just hold on to your hats and please read on. Taking a systems view of work and of organisations means you must understand not only your system of work, you must at a minimum understand the purpose of the system “above” (the system that your area is a sub-system of) because that system provides the context for your system’s existence. This means that clarity of purpose is critical, in fact so critical you will see a recurring theme in many of the models clarifying context and purpose. This could mean that from the perspective of any single unit or division, it may not operate at maximum capacity as performance has to be viewed in the context of the broader system and sub-optimisation is a big no-no. I will get to this topic when I discuss the “understanding the work” element. An important aspect of a well-functioning organisation is the value-adding function of the different roles. Systems Leadership Theory identifies three main types of managerial roles – Operational, Support, and Service. I think it was John Seddon from Vanguard who said that there are only three roles in an organisation: one that creates value directly to the customer, one that enables that value creation to occur, and one that improves how they both occur. If you are not creating value, enabling it or improving it, then what are you doing? These two ways of articulating types of work focus on the individual rather than the organisation. To create clarity of the broader focus of a role using different work domains as outlined in Luc Hoebeke’s – Making Work Systems Better is quite helpful for identifying the general theme of the work context. The work domains are – Value adding for the present – Value adding for the future – Value Systems (value adding for humanity). 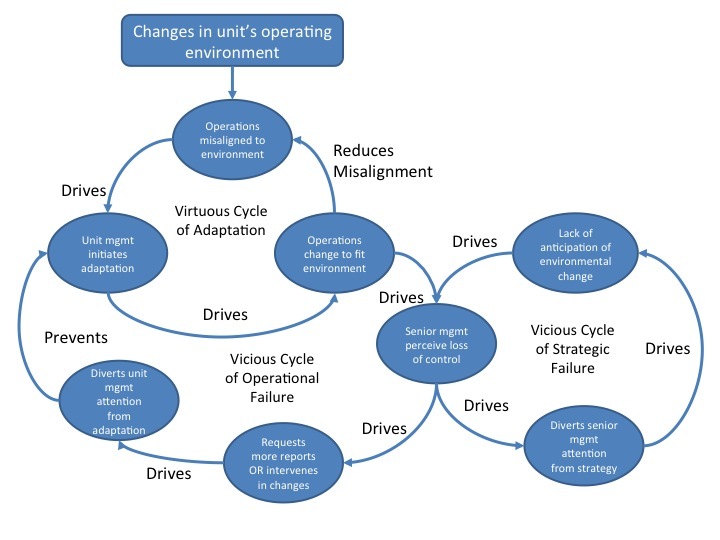 There are additional functions required for a viable system from a management cybernetics perspective but we’ll get to that when discussing organisations as systems later on. In many organisations the individual with the most experience or best technical skills gets promoted to a managerial role. We can see it in health care where the best surgeon becomes the administrator; in accounting firms and law firms it is almost standard practice to task senior partners with running the organisation, even though their skills in this area might be very limited. Often the remuneration system is the culprit as the only way to reward individuals is by increasing the number of people reporting to them and by moving them higher up in the organisation. Even though this means doing less of the technical work they are highly skilled in (and often enjoy more than the additional administrative work). They would probably add more value being in a specialist role focusing on their technical skill and perhaps developing the skills of others. The e-myth is a great book discussing the idea that just because you are technically good at something does not mean you are good at running a business that provides that technical skill. For some types of organisations, roles, skills this practice still serves a valuable purpose – to pass on the technical skills that you will only master through experience. So this is not to say that the practice is out-dated, just questioning its usefulness when it comes to appointing Managers based on technical skills or seniority. In fact praxis (theory informed practice) is invaluable even for knowledge workers as a great way to develop true understanding and capability. In today’s environment with a large proportion of organisations filled with knowledge workers the Manger is unlikely to have higher level of technical skills than the person reporting to them. So if you are technically more competent than I am in your area, then how do I add value to your work? I think it is funny how some people have a view that their Manager ought to know more about the technical side of the work than the people working for them. The view does not stack up logically as the CEO by that logic must be the master of everything in the organisation. This is exactly why we have organisations – because there is too much for any one person to do we need more people with a wide range of skills and capabilities. The question is how to get the best out of all those diverse skills and capabilities. In many organisations the organisational chart is used to describe the organisation, even though its use for that purpose is desperately limited. I don’t think the organisational chart was ever intended to explain how the work flows, it is just one way of outlining reporting relationships and possibly a helpful way of knowing who’s who in the Zoo. The organisational chart can easily be used to manipulate the system of organisation into power plays based on role vested authority and drive all sorts of unproductive behaviours but it does not have to be that way. I think the traditional organisational chart has to be used in conjunction with some other ways of understanding the organisation. Before I continue to how Managers add value I want to make a short comment on role-vested authority. As a Manager it is critical that you understand that leadership is not something that comes with a role, it is expected, but you have to earn the right to lead people and without personally earned authority you will never be successful as a leader. 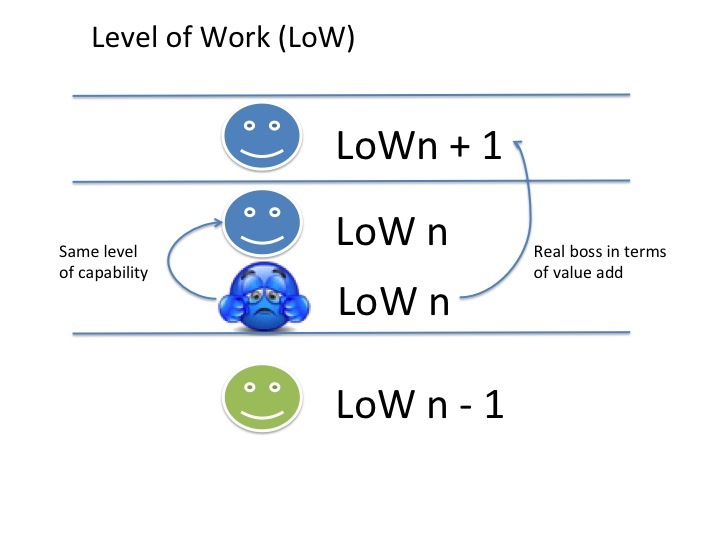 According to Elliot Jaques there is natural hierarchy of capability that should be replicated in the managerial hierarchy of organisations for best performance – hence the name, Requisite Organisation. I have in an earlier post linked to a good paper that goes into Levels of Work in greater detail. It might be worth pointing out that a theory of discontinuous distribution of capability should not be interpreted as elitist in any way. There is nothing inherently better or worst being at any stage of adult development or having higher or lower mental processing ability – it is just a question of best match for the challenge an individual is to undertake. If the organisation does not have a requisite structure there will potentially be some recurring issues. When there are too many layers in organisations, clarity between roles can become difficult and it will often lead to micro managing. Micromanaging is often seen as a personality issue with control-freaks but as Patrick Hoverstadt points out in his book “The Fractal Organization” it is more likely the design of the system that is driving “normal” people to behave in this way. The solution to the Control Dilemma is to design and implement a better system of monitoring which might mean better measures for understanding system performance, improved role clarity, and better task assignments. When working with organisations and trying work out where there might be too many levels some a quick insight is gained by asking the question: who is your real boss? The answer people give, usually refers to the person that they feel add real value to their role rather than who is on the official organisational chart. More often than not this will be an individual with a higher level of capability. The value managers provide is providing clarity about roles and operating context, and most importantly by removing barriers that stand in the way of better ways of doing the work. 1. What is expected of me in my role? 2. How am I performing in this role? 3. 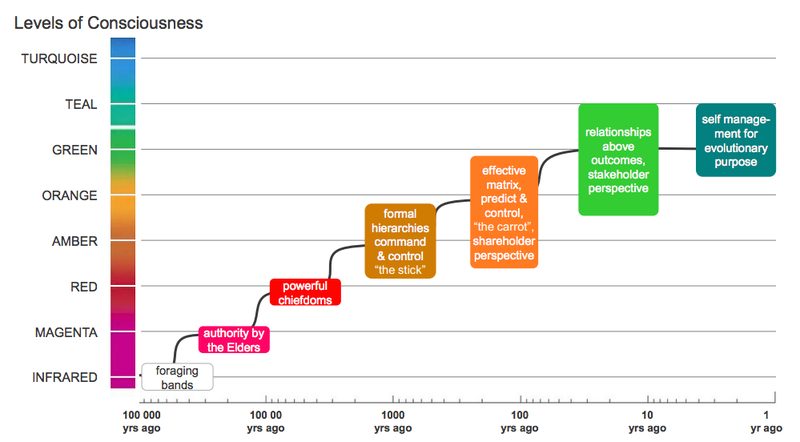 What does my future look like (in this organisations)? Dave Snowden from Cognitive Edge suggests that continuous removal of small barriers is good ways for leaders to earn the authority to lead. Snowden makes the point that this practice will lead to positive stories which will get a life of their own and spreads across the organisation (The Use of Narrative), a far superior way of influencing culture compared with just talking about change. This is very aligned with what Systems Leadership Theory calls mythologies – stories that represent positive or negative value of organisational behaviour. Understanding what the current mythologies are is extremely important for change initiative. I’ll cover mythologies in greater detail in an upcoming post. Even though I am discussing how to make organisations with a hierarchical structure a better place to work, I am also exploring alternative ways of structuring an organisation. I am deeply fascinated by the concepts of Sociacracy and Holacracy as alternative ways to structure and run organisations. 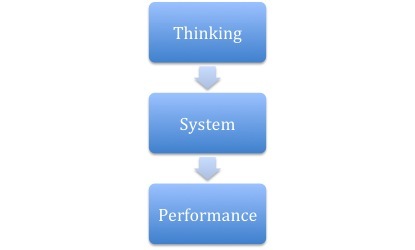 Both concepts have strong links to Management Cybernetics, which is another theory that I work with. I do, however, have some deeply held mental models around levels of mental processing ability and stages of adult development that neither alternative seems to discuss. The only references to adult development I’ve come across to date is paper on Holacracy that mentioned a common misunderstanding was to assume that a higher circle required later stages of adult development. The reason Holacracy rejects this was the potential for is to lead to abuse of power. The problem with that assertion is that later stages of adult development are characterised by low ego and highly developed sense of community and social fairness, not quite the characteristics of people who are power-hungry. In the next post I intend to discuss work as a social process, I will outline a model for participative decision-making and a model for task assignment that helps provide clarity around expectations and limits of discretion.